A home that accentuates every need and offer a life that ameliorates the overall lifestyle. Opportunity to conceptualize your home in your own way that is 100 per cent ideal and satisfying. So we welcome you to come inside a heaven. Complete freedom to pick any plot size from 250 square yards to 500 square yards. Flower valley Mikasa Plots part of well formed township Central Park Flower Valley. Well marked plots that give full attention to greenery and security. Along with this, here you will get all modern features to enjoy every day. Mikasa plots are a mixture of opportunity that will surely pique your lifestyle. This will provide a good alibi to your family. Now you should keep your fallacy out because here these plots are secured and best in delivering a life that is neoteric and gives you a life where greenery, flower, nature and peace are part and parcel in your life. Central Park Flower valley Mikasa Plots are nicely located in. 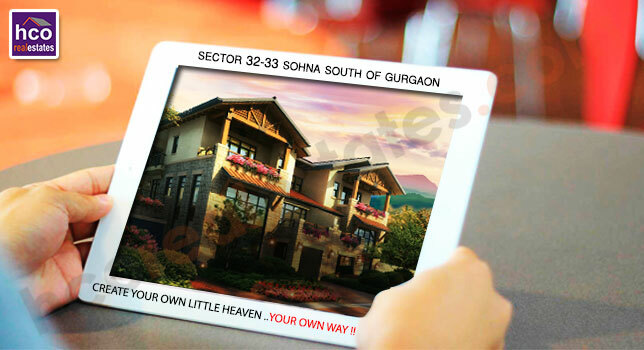 This project is located in sector 32 & 33 Sohna. Well connectivity with Gurgaon, Delhi and Faridabad. This is a secured location that connects with all comforts. A-grade schools, entertainment hub, day to day needs all in the vicinity. Cab facility, shuttle service and more offers a deep comfort in travelling. More developments are going to take place. Collectivity, it makes this project fully secured and here at Park Flower Valley you can enjoy every side of life and here everything is so planned that none of your day gets boring. At Park Flower Valley you get diversified range of modern amenities where you have freedom to pick any service and have 100 per cent fun while you are spending time with your family. Central Park leading builder ensure possession on time, high quality, no compromise, innovative ideas, deep range of modern amenities and attractive designs all together makes this project your best choice.